Battle stations! 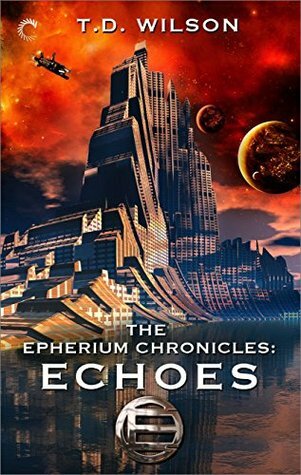 Echoes, the third book of ‘The Epherium Chronicles’ by T.D. Wilson, begins and ends with conflict. Lester Styles, captain of the EDF Cestus, is in charge of the supply train headed for Cygni. He has one jump left to make and one ship reporting a problem with their space-fold drive. Appointing the Cestus rearguard, he waits for the entire train to make the jump before following. The Cestus never makes the jump. When Captain James Hood investigates, he finds nothing but wreckage and a few survivors. The purpose and perpetrator of the attack are a mystery, but Hood has his suspicions and more problems than stars on his chart.